Portsmouth Public Schools is committed to providing students and teachers with technology resources to enhance the learning environment. We are committed to providing 21st century learning capabilities to our students. PPS received a grant,Virginia e-Learning Backpack Initiative, by the Virginia Department of Education to help us provide high school students with devices that extend learning beyond the walls of a classroom. These devices will promote communication, collaboration, and creation. We have also committed to increasing our WiFi speed at our Middle and High School facilities. Most importantly, we have equipped over 500 teachers with more technology in the classroom with Promethean boards, interactive devices and tablets. Students, teachers and staff can enjoy free Microsoft Office suite, email, web sites, online document editing, messaging and web conferencing. You can install Office applications Word, Excel, PowerPoint, Outlook, Publisher, and OneNote on up to 5 PCs or Macs per user. You can also enjoy file storage and sharing with 1 TB storage per user. 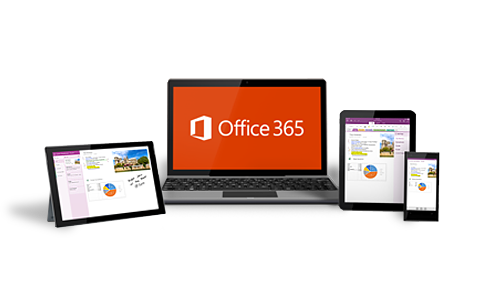 Learn more about the free Office 365 Education resources available here. Through this initiative and additional support from PPS, all students in grades 9 through 12 will receive a technology device to help support a 21st century classroom experience. Students will use these devices to communicate, collaborate, and create meaningful learning experiences that support the curriculum. Providing students, teachers, and staff with platforms such a Google Apps for Education and Office 365 will facilitate learning beyond the walls of a classroom.